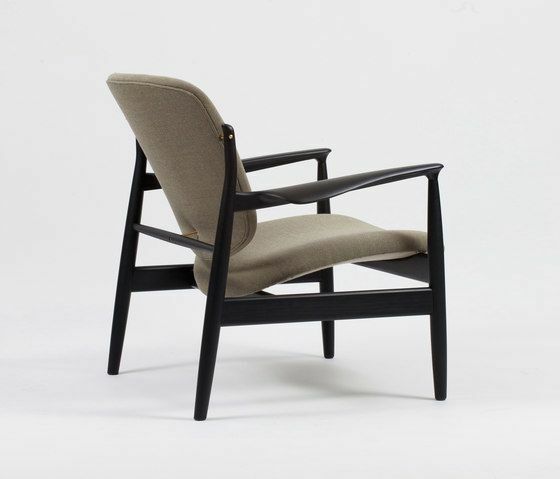 Finn Juhl designed FJ 136, as the chair was originally called, for France & Son for the American market in 1956. It became – along with a number of other Finn Juhl designs – a great success. The chair was designed for industrial production and has a more simple expression than many of Juhl’s other chairs. Nevertheless, the chair’s organic shapes and distinct design characteristics are typical for Finn Juhl’s designs. The light wooden frame and the liberated upholstered elements – which seem to float as if they were freed from the law of gravity – make the chair seem almost aerodynamic.